The invention of the piano is credited to Bartolomeo Cristofori. He came from Padua, Italy and was already making harpsichords at the time of his invention. The piano is one of the most loved musical instruments worldwide. The piano is a popular stringed instrument which is played on a keyboard with the strings being struck by hammers. 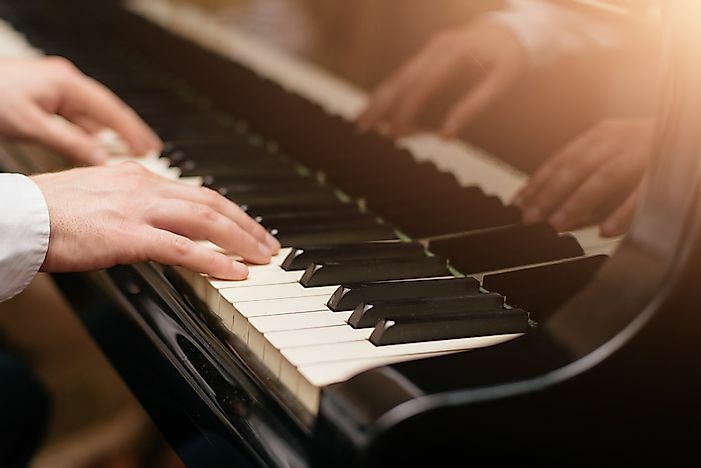 The piano is one of the most identifiable musical instruments and has been the primary music instrument used by world-famous music composers like Mozart, Beethoven, and Haydn to create musical masterpieces. The piano was also an important factor in the development of popular music genres such as blues, rock, jazz, classical music, and folk music among others. The piano gets its name from Italian term “gravecembalo col piano e forte” or the “fortepiano” which was the name given to the musical instrument in the early 18th century when it was invented. Bartolomeo di Francesco Cristofori is credited with the invention of the piano which was modelled after other existing keyboard stringed instruments such as the harpsichord and the clavichord. Little is known of Bartolomeo di Francesco Cristofori's childhood with the limited information available being from an interview the inventor gave to the 18th-century Italian writer, Scipione Maffei. Bartolomeo di Francesco Cristofori is believed to have been born on May 4, 1655, in Padua, Italy. In his youth, Bartolomeo became a renowned harpsichord maker in Padua, a skill which brought him much popularity in the region. Word of Bartolomeo’s impressive harpsichord-making skills reached Prince Ferdinando de Medici, the heir of the grand duke of Tuscany, Cosimo III. The Prince was himself a fan of harpsichords and spinets and owned about 40 of them but his technician of the musical instruments had just passed away. So, in 1688 while traveling back from Venice, Prince Ferdinando passed through Padua where he met Bartolomeo who he recruited to replace the deceased technician. In May 1688, Bartolomeo (then aged 33 years) moved from his hometown of Padua and relocated to Florence where he was given a house complete with equipment and utensils. The Prince had a liking of Bartolomeo and granted him the freedom to come up with his own inventions while managing the existing instruments. A record of inventory of the Grand Duke’s music instruments done in 1700 has one peculiar entry labeled “arpicembalo che fail piano e li forte” (translated as “harpsichord that can play quietly and loudly”), which was one of Bartolomeo’s earliest inventions and a precursor to the invention of the piano. Bartolomeo further improved on the designs and in 1709 invented what he called the “gravecembalo col piano e forte” (the “clavichord with soft and loud”), which was then shortened to pianoforte, the first piano in history. This invention was later featured in Scipione Maffei’s 1711 publication “Giornale dei Letterati d’Italia”. Bartolomeo made about 20 more pianos between 1709 and 1726 but his invention was not an instant hit with users terming it as “difficult to use”. Bartolomeo continued to work on his invention, making improvements on its features and in his later years was assisted by Giovanni Ferrini. Cristofori died on January 27, 1731, aged 75 years. The invention of the pianoforte was eclipsed by the rise of opera music and hence the use of the piano was largely obscured in Italy. Only three pianos originally built by Bartolomeo exist today, all of which are preserved in museums.